“How did this come about?” I asked my lunch guest, a CEO who up until a year ago had been a customer. “Just pursuing our Strategy Statement, Doug. To become a 5 million case wholesaler by 2020!” My customer had recently announced plans to merge with another large beverage dealer in Iowa. He’d invited me to lunch to share how, since he’d continued to follow the ScaleUp meeting rhythms and our Cadence of Accountability, after we’d completed our coaching relationship,. He indicated over lunch, not only was the Strategy Statement influential in his decision to continuing searching for opportunities to grow through acquisitions, the habit of sharing his progress with his leadership team, kept him focused weekly on achieving his objective. By connecting with dealers in his immediate area, and building relationships, Dudley purchased one nearby acquisition in the time I worked with them. When he announced that deal, he reminded everyone in his company of their strategy statement, and how this purchase fit into the company’s long term goals. In FOCUS - Measure What Matters. OKR’s Start at the Top, we shared John Doerr’s book Measure What Matters, and why OKR’s success demands The CEO follow the rules and set personal OKR’s. My CEO lunch companion had effectively achieved this. This CEO always delivered the companies’ Core Values, Purpose, and Strategy Statement in every leadership meeting. 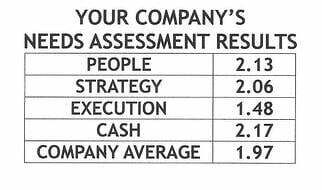 He’d also developed a very effective evaluation system for his leadership team, using the TopGrading performance matrix. Scaling Up’s Execution, one of the 4 Decisions, provides three key elements to develop OKR’s. Priorities: Determine your #1 Priority. Achieve measurable progress in 90 days. Metrics: Develop measurable Key Performance Indicators. At Positioning Systems we call these three Execution Habits, Strategic Discipline. They’re the key to building Execution Excellence. Metrics, and the value of pairing key results with qualitative measures we shared in OKR’s Pairing Key Results – Counterbalance. How do you keep your team focused on their OKR’s? This is the 3rd key in OKR’s: Accountability. Meeting rhythms: Daily, Weekly, Monthly, Quarterly and Annual Meetings, provide the framework to achieve accountability. In Patrick Lencioni’s The Advantage, he shares three reasons Group Meetings produce better Accountability. When members of a team demand accountabilities during a meeting, everyone receives the message simultaneously. 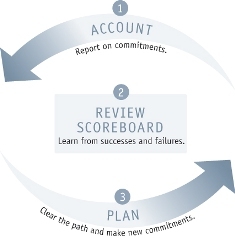 Accountability is expected and you will be called on to deliver your Success Criteria each week. No one should make the same mistake twice of not being prepared. This saves time; no one has to learn the same lesson again. Groom your leadership team with your DNA. All team members know that the leader is holding everyone to their accountabilities, which prevents them from wondering, “is the boss is doing his job?” A culture of accountability is reinforced. This increases accountability. Finally, it serves to reinforce the culture of accountability, which increases the likelihood that team members will do the same for one another. When leaders—and peers—limit their accountability discussions to private conversations, they leave people wondering whether those discussions are happening. This often leads to unproductive hallway conversations and conjecture about who knows what about whom. Everyone in your organization should have OKR’s. Every meeting, beginning with Daily Huddles, provides an opportunity to report your progress on your Priority. 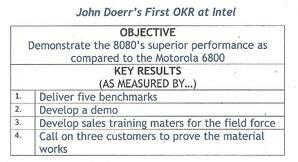 In Measure What Matters, John Doerr shares his very first OKR when he started work at Intel. He was an intern at the time. When your intern’s follow the same performance goals and objectives as your leadership team, you know you’ve cascaded your company’s discipline for achievement throughout your organization effectively! What’s your businesses top Priority for this year? This Quarter? What’s Your One Thing? Who is accountable for achieving it? Does your leadership team own Objectives and Key Results to achieve your top priority this year and quarter? If your leadership team isn’t clear on your top priority, do you really believe your organization is equipped to achieve anything of lasting value this year? Are you and your team struggling to achieve objectives? 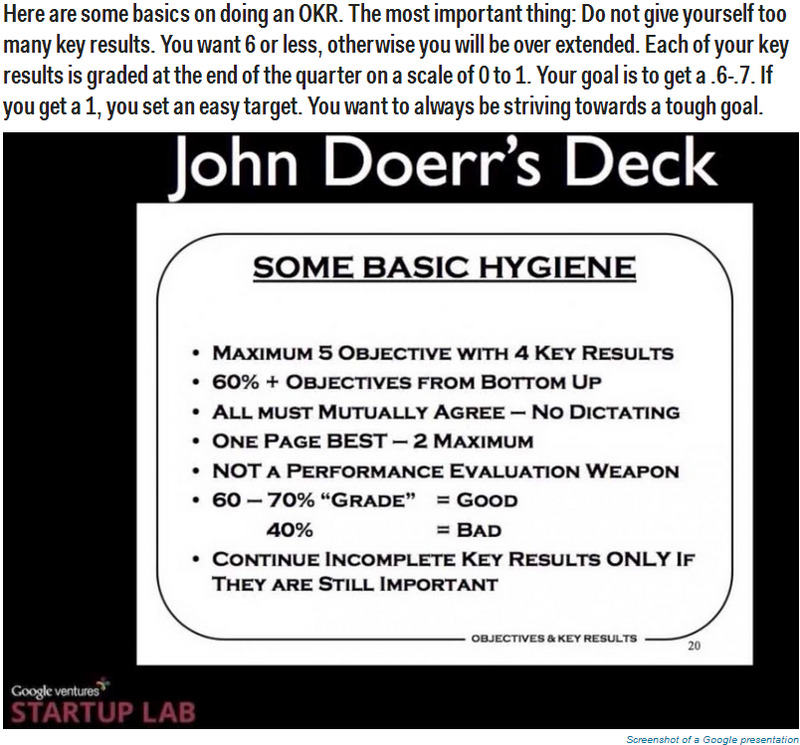 Download Andy Grove’s 7 Rules for Basic OKR Hygiene. 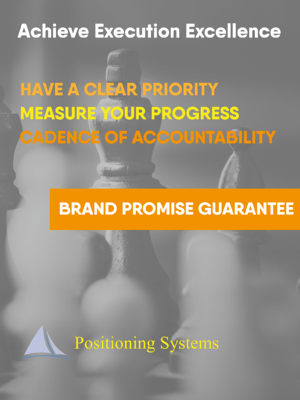 Need assistance to help your team achieve your objectives to grow your business?Contact me at dwick@positioningsystems.com to schedule a free 30-minute discovery meeting. 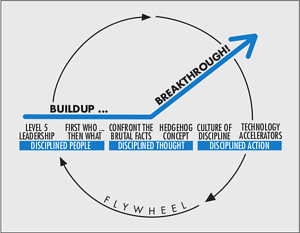 In Good to Great, Jim Collins shared a Strategic Advisory Council is key to discovering your Hedgehog Concept. It took about four years on average for the good-to-great companies to clarify their Hedgehog Concepts. Your Hedgehog Concept simplifies a complex world and makes decisions easier. Discovering your concept can be difficult. It takes time. This past week I facilitated one of my customers first Strategic Advisory Council’s meetings. Insights and outcomes, next blog.